Private Guitar tutoring lessons Bethesda, MD. Beginner: Learn how strum and play your favorite tunes as well as how to read sheet music. I can teach beginners the essentials they need for a LIFETIME of musical enjoyment. Intermediate: I will work with students to find specific areas that they need to work on in order get better at the guitar. Improvisation, the blues, and more! Advanced: I can instruct on advanced guitar harmony, scales (modes), and solo techniques. Learn to play your favorite songs, and write your own music. 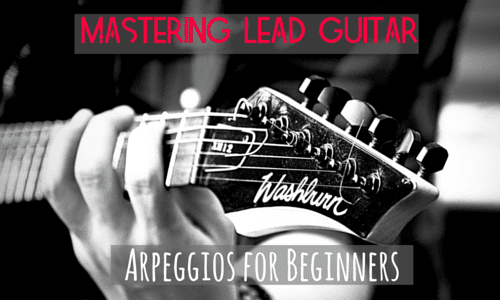 Learn and master fretboard logic, chord structures, scales, improvising, composition, sight reading, music theory. All ages, all styles and levels are welcome. I love teaching music! I have been a professional guitar instructor for over 8 years. Through attentive one on one instruction I develop a program to suit the player's goals. I emphasize technique with drills designed to raise my students' skills evenly across a wide range of categories, like picking, fretting, scale patterns, chord shapes, chord progressions, rhythm training, and ear training. I can guide a complete beginner toward being able to play songs and have fun. For the more serious student I have a plan that will make you a better player and musician guaranteed. I teach all levels of guitar in the areas of rock, blues and jazz, but I really focus more on the musical skills need to play guitar in any style. These include a thorough chord vocabulary, experience playing rhythm guitar, and a complete progressive study of scales and their use in improvisation (lead guitar) starting with pentatonic scales and progressing to major scales, different forms of minor scales and modes. All scales are learned in multiple positions and the student learns to perform with them in any key. In every lesson the student and I play exercises and study materials together to make actual music from the materials being studied. I will bring my acoustic guitar and we can focus on their favorite songs and then from there learn scales, and improvisation to make them shine. With acoustic guitar we will focus on chords so you can learn to play any song. went about it and showed my son how to use Rocksmith on XBOX , my son already use and play games on XBox and using Rocksmith for learning guitar was a great idea, Mr Joe showed him how to use it and gave instructions to prepare his first lesson for next week. He also have a weekly get together for kids to play in public that will help kids to show off their skill to outside world. looking forward to more classes with him"
Washington, DC teacher: Joe B. "John is one of the best instructors I have seen...for any subject. t, enthusiastic and very encouraging. As a professional musician, he knows his trade and he has the uncanny ability to share his knowledge in a way that makes perfect sense. I would recommend John as an instructor for any, and all, levels of instruction." nderstand the musical context behind the chords and notes. In the process of learning, you find yourself wanting to explore music theory and practice (not really two separate things in Dennis' world) even more, and I can honestly that I have learned so much not just from the guitar lessons themselves but but also from our conversations about music. If you want to make a long-term investment in learning the language of music and how it manifests itself on the fretboard and the vibrations of six steel/nylon strings, then I would recommend buying some of this stock!" Washington, DC teacher: Dennis B.
th any age level, but I know he is superb at teaching adult students. His approach to teaching makes it clear that he has a " roadmap" to learning the guitar that is much more effective and rewarding than just learning random chords. He is engaging, personable, supportive and very patient. I look forward to every lesson and I always leave energized and eager to work on the "next milestone" of the journey. I honestly cannot recommend him highly enough." ty to express his or herself. He also spends time explaining how guitar (lead) relates to the other instruments within a band. Then he proceeded to use RockSmith to help my son finally nail those cords, which he successfully did after a few tries. We are enthusiastic about our son continuing his musical journey with Joe." "John is extremely knowledgeable and the lessons are enjoyable." Washington, DC teacher: John N.
"Talented musician and great listener." s extremely knowledgeable and personable, and he made many great suggestions to counteract problems I was having. I love the exercises he gave me, which were designed to build on my own musicality (but which could build on anyone's innate and acquired knowledge of music), and am very much looking forward to the next lesson."